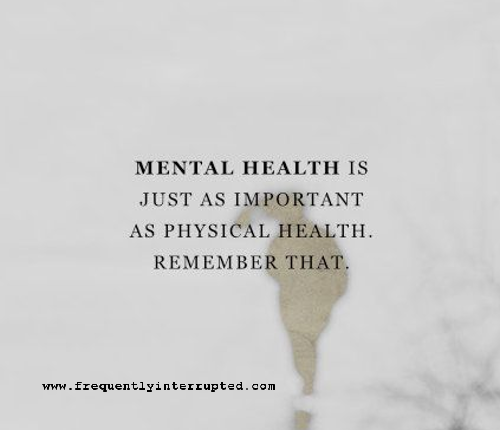 So many people put so much work into their physical health without ever stopping to consider their mental health. Your body is the car, but your mind is the driver. The car is important - you can't drive without it - but you aren't going anywhere without the driver. Don't forget to take care of yourself, and make sure you are taking care of all of yourself.